Context: We’re winding down an essay project on inventions. 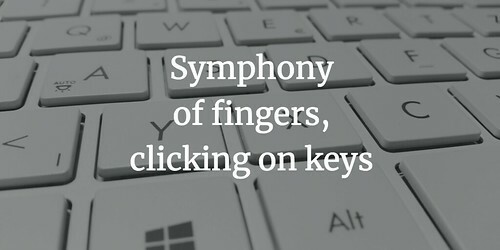 The other day, as every student in my entire class was working hard at moving from rough draft to final draft on the laptops, I noticed the sound of fingers on keys, clicking. When it’s just you, alone, you may notice the sound of your own starts and stops. When it’s a classroom of 20 sixth graders, the rhythm of writing takes hold in interesting ways, as a sort of collective writing symphony. Pre-dawn keyboard solos slicing and creating. Ahhh. the power of six words. Love the contrast of multiple keyboards with just the one. Cool to think about and listen for. It’s a contrast to most days, when my room is full of noise noise noise. 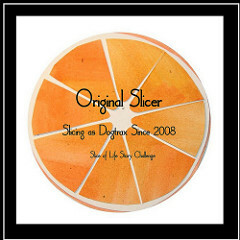 I envy your pottery experiences … what a great way to be creative. You make multimedia presentations so easy. The master teacher, inspirational colleague and wonderful family man. Keep blogging, connecting and inspiring. So happy to see you in the SOL world, too. Keep writing. Your poem today was powerful. Thanks for stopping by. It’s good to leave a lot of keys for others.